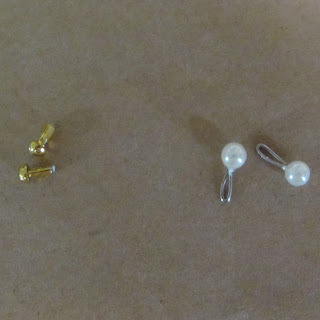 Having boasted that I'd worked out a way to make earrings for Blythe from pearl-head dress-making pins, I was asked "How?" so ... here is a tutorial. 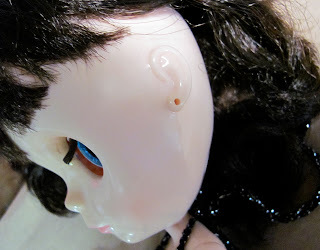 Not all Blythe dolls have the piercings to wear earrings - in my dolly family only Audrey (a Simply Chocolate) has the requisite 'piercings'. In this photo, the gold things on the left are the Takara stock stud earrings Audrey came with (she also has some optional op-art dangles that go on those studs). The pearls are what I made - from pins. If you look at Takara's earrings closely you'll see that the posts are slightly flattened. 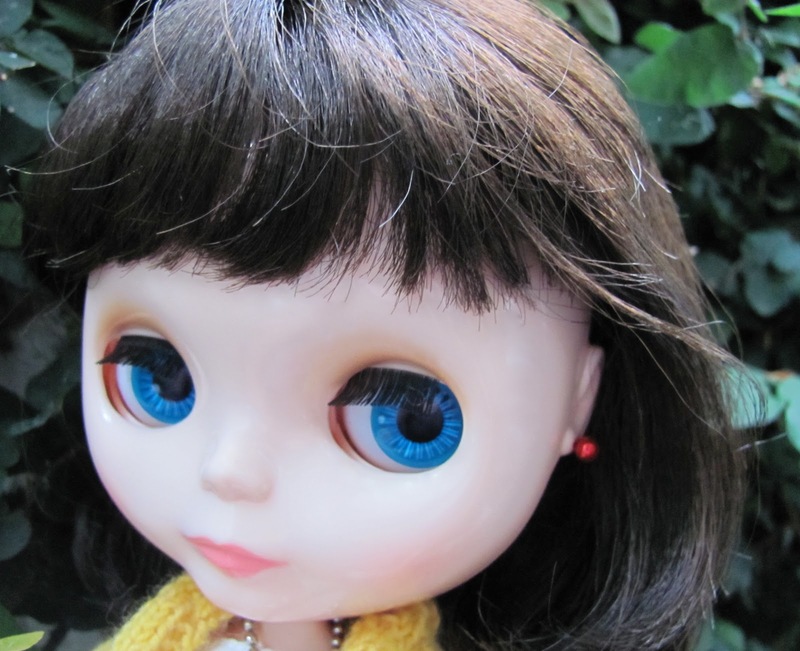 The idea seems to be to insert the earrings with the wider part going horizontally to doll's head (up-down) then once inserted, if you turn the earrings, about a quarter turn, they lock in place. 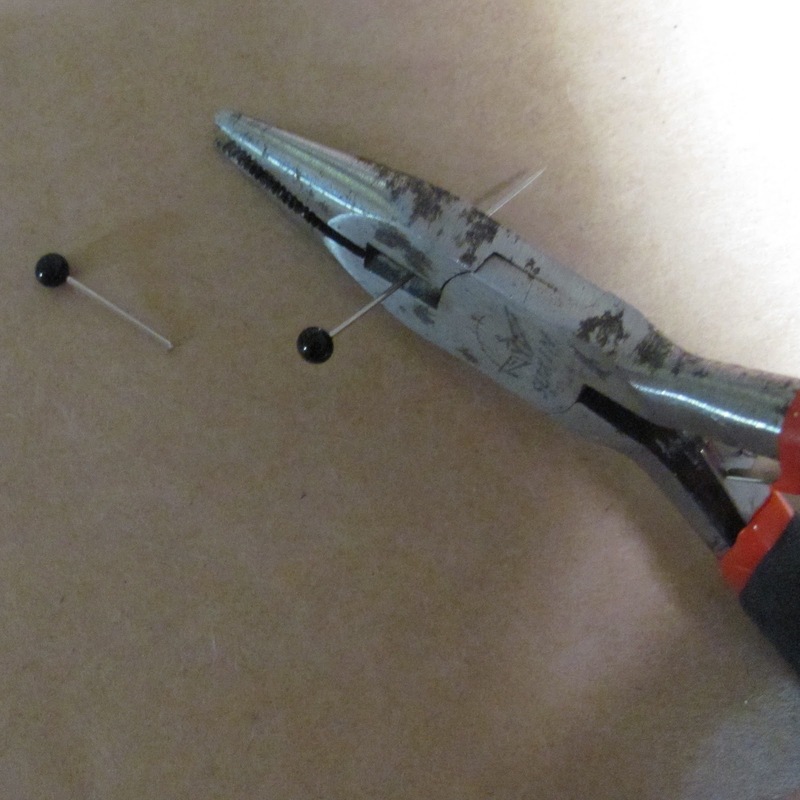 This basic shape is what I try to replicate with the pins. You need some pins, some jewelry-making pliers to bend the pins and something to cut the pins. 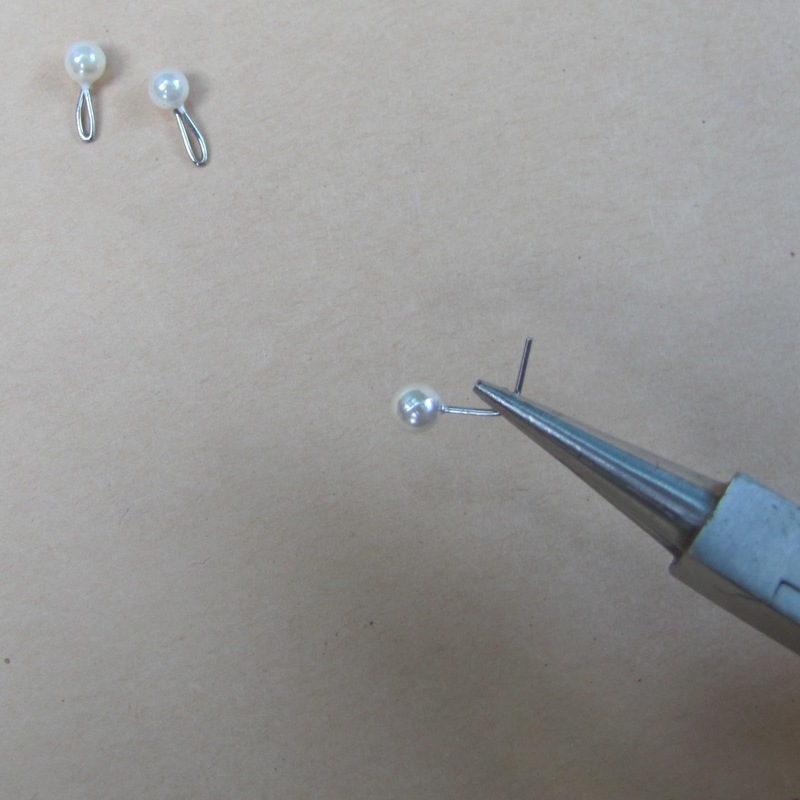 The wire cutters on the RH here are great for cutting, and the little long-nose jewelry pliers on the LH are great. 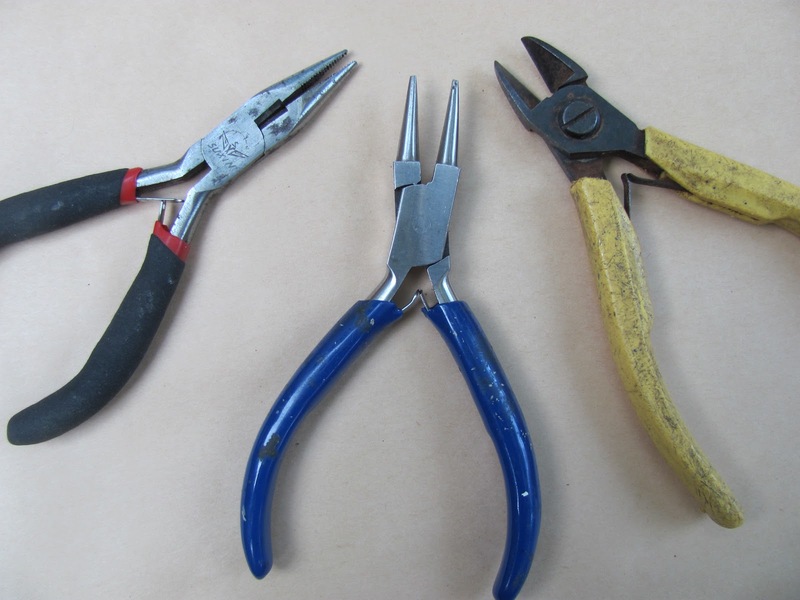 The round nose pliers, here in the middle, are handy but the flat surface on the long-nose is required for the final 'squishing' process. 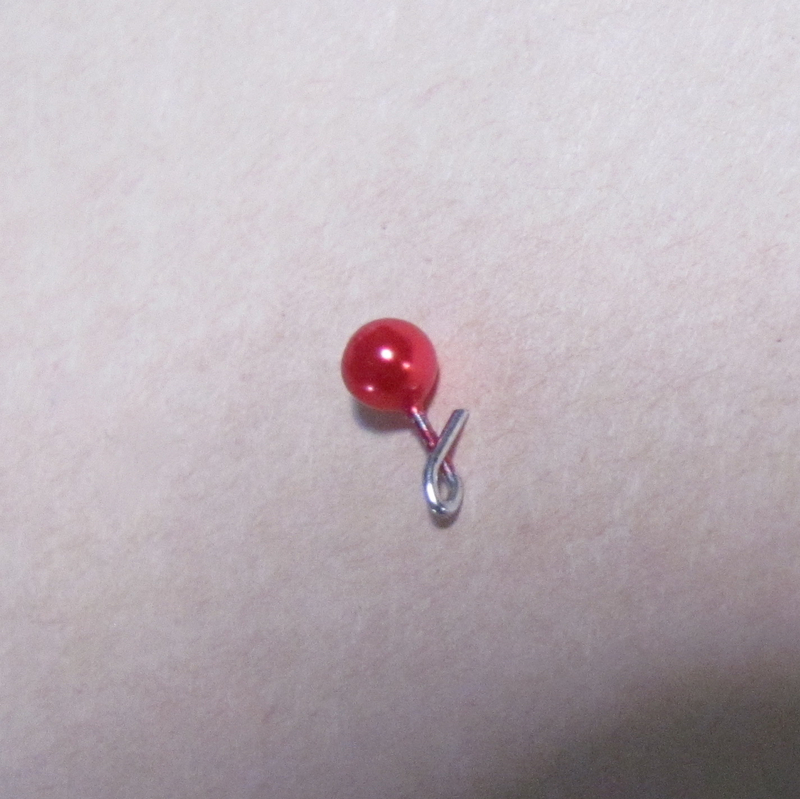 Cut the pin - about 1/2 an inch (that's 14mm) from the 'head'. Be careful - work inside a box or something and wear glasses or goggles to protect your eyes from flying pin wire! This is the hard part and not all pins will bend nicely. 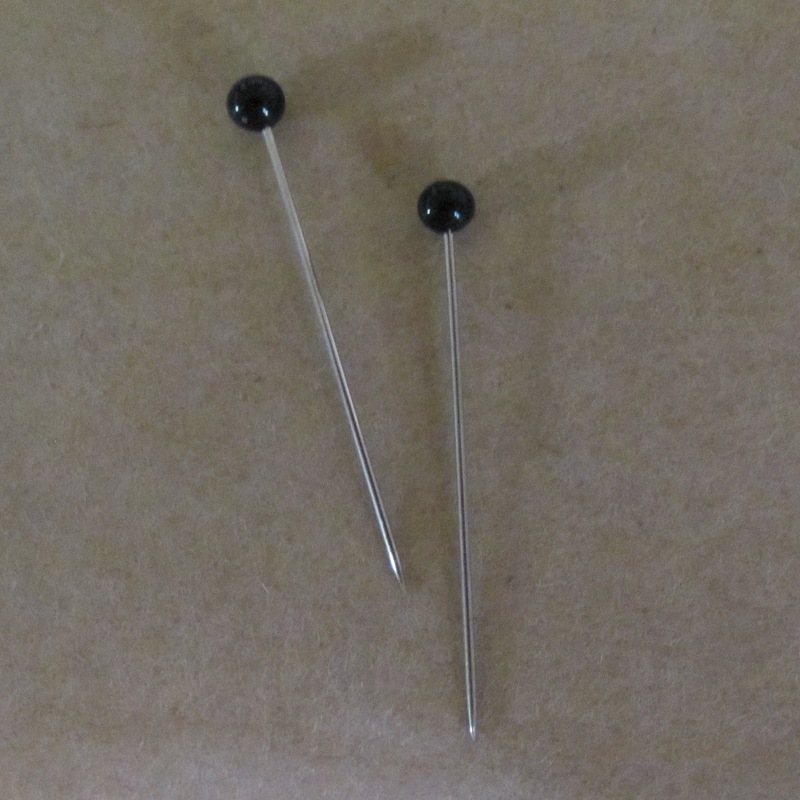 Those lovely black pins in the photos above were too stiff and strong - they resisted bending and finally the wire snapped. 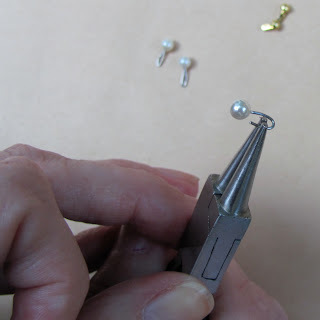 These cheap 'pearl heads' were the most successful. 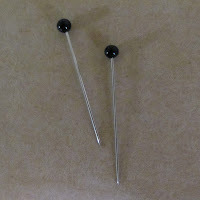 Try to avoid this cross-over thing happening as you are bending the pin. 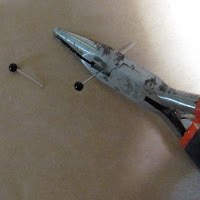 Use the flat part of the pliers to flatten the curve. You need the wire to be a really tight U ... narrow enough to fit into the doll's ear piercing but not so narrow that it falls out. 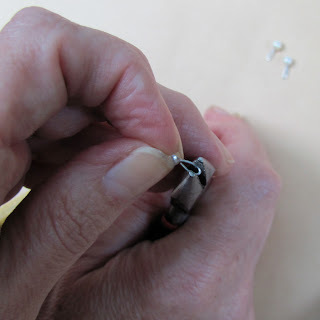 Check the fit - remembering to insert with the width of that U-shape held horizontally. The final tweaking for a perfect fit is fiddly, the teeny-est tiny-est squish with the pliers to make it perfect - just a bit too far and the earring is loose and will fall out! Audrey has decided that these red earrings are just perfect for Christmas! Great idea! I will be trying this! Hii I´m Barbora!! I can´t believe I found sooo useful post!! And one day after you publoshed it!! That´s a miracle!! This is a perfec method! i´m going to try this out! This is lovely! An amazing and helpful tutorial... Something I'll be trying!